Spring is in the air! Does that make you feel happy? I am sure it does. I personally love spring and autumn since the weather in my place is extremely pleasant during these seasons. For me, spring signifies all that is fresh and new. It gives the opportunity to begin afresh, set some goals and slay them. Every year I, like many people, do spring-cleaning where I throw out or give away all that is not needed. It helps me boost my mood and feel incredibly light with all the junk out of my sight. 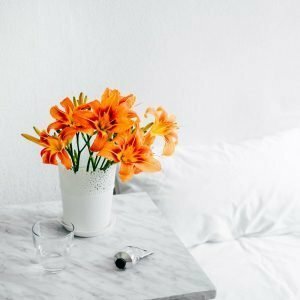 If you too need to get on with your spring cleaning but have no idea where to start, you must read about these 17 ways to spring clean your life and declutter all unnecessary stuff. Make a plan: Spring cleaning is an intensive process at least for me. If you have a massive list of things or areas you would like to clean I really suggest you make a plan on how to go about it, otherwise the process could be over-whelming for some. Choose a time-frame to complete the cleaning process. Some complete it within a day or two while other may spread their cleaning ritual spanning few weeks. Start with small spaces and sections like your bedroom or washroom cabinets. If possible, arrange things in your cabinets alphabetically it’s totally worth the effort. Approach each section as if you are cleaning it for the first time. Throw away all things you don’t need or haven’t used for a year atleast. Don’t start with your wardrobe: This perhaps goes against conventional norms, but our wardrobe is the first place which comes to mind when we think of decluttering but often the process is so lengthy and tiring we don’t have the will to go through another cleaning chore. It also leads to a bit of procrastination and we conveniently delay ourselves from cleaning other areas of our habitat. I have found if I keep wardrobe cleaning schedule somewhere in the middle, of cleaning my cabinets and dressing table I work with more energy. I usually toss away anything I haven’t worn in at least 2 years. I can’t tell you how many clothes I kept around for years together hoping those would fit me when I lose weight. Ha! We all have been there. I won’t lie my wardrobe is not always super organised but yes I make an effort now to keep it fairly organised by buying less stuff and arranging it once in six or seven months or specifically before summer and winter. I had mentioned the batching technique in my time-strategies post. Read it here. For arranging my wardrobe I use this technique, where you complete similar activities from start to finish, I find it ideal when I am in a cleaning spree of my personal space. Just cleaning bedroom, my work-desk, personal desk, all storage areas, everything at one go! Simply glorious! Do try it and do let me know if you felt as light as a feather? The Konmari Method: When talking about decluttering, how can I not talk about the Konmari Method? This effective method of decluttering has been invented by Marie Kondo, a professional tidying expert. Her bestselling book ‘”The Life-Changing Magic of Tidying Up,” has inspired people to completely declutter their lives. Marie Kondo claims if you once use the Konmari Method you will be sorted for life. She talks about a minimalistic organisation system which is so effective that you will never face the issue of clutter again. As per this system you should keep things that spark joy, if not toss it aside. She also suggests you visualise your ideal life and tidy up your space category wise and not location wise. So you start with clothes and move on to books and tehn to sentimental items and so on. I have followed this method, but not to a ‘T’, for example I start with small areas first then move on to my wardrobe. But yes the number of items I have discarded is astounding, especially my stationery items. Organise your desk: An organised work space is a sign of an organised mind. A clear desk cleaned of all bits of paper, used note books and other stationery items makes you feel more motivated, focused and productive. Set some goals: If you have skipped goals-setting during New Year’s due to the morbid weather, spring is a good time to get going. There is newness in the nature, try to inhale some of that positive new energy in your life as well. Think of what you intend on achieving this year. Make a list of your 2-3 top goals. Give yourself a time-frame for about 10-11 months and set some time separately to evaluate your goals. Sort out your mail: Do you regularly check and clean your personal and professional email inbox. I am not very sorted in this area. I do make an effort from time to time to organise my mails but this spring I finally did it! I cancelled over 30 blog subscriptions, I had signed up when I started blogging. I don’t check nor read those mails anymore. It makes no sense to have a cluttered inbox. I remember as a newbie blogger, I was so eager to soak all information that I went on a serious signing up spree. Free-email courses, e-books, and worksheets you name it and I had all of that in my inbox. When I reflect now most of those things don’t really provide any value anymore. Similarly there are countless of saved mails and drafts which again I don’t need any longer. If you can identify with this, clean and send to trash all stuff needlessly piling up your inbox. Clean your handbag: This is one area where I think most of us lag behind. Handbag cleaning is annoying and I understand if you have been pushing this task. A lady’s handbag is like the best companion, holder of secrets and all that but it still needs cleaning. So just do it. Think of it as an insignificant chore that needs to done asap. 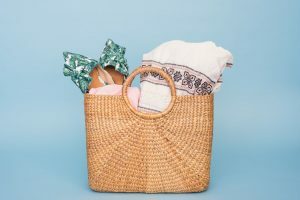 The Konmari Method suggests we clean our handbags every single day. I understand if that’s not possible always but cleaning it once a month is doable. Sort your accessories: There are again items in your make-up and accessories like shoes, junk jewellery, handbags you don’t use anymore probably these are old and you have outgrown these. Discard all such items. If these are in a good state you can think about reselling these. E-bay and Amazon are good options. After all everyone could use some few extra bucks. This is also a general observation, but I have seen people not throwing away expired cosmetics products even after those are well beyond the expiry date. I understand this sentiment with stuff like shoes or scarves but using expired cosmetic products can harm the skin. Once a friend of mine told me apparently you can use cosmetic product beyond the expiry date too since it’s a sale strategy to mark the self-life of a product for maximum two-three years. While I cannot verify these claims, and sales strategy or no, if there is a specific expiry date given I will not use the product beyond that date. Clean your kitchen: Spring cleaning is incomplete without decluttering our kitchen. If you kitchen hasn’t been sorted for a while perhaps spring is the best time to get on with it. Remove all bottles, jars and cans you don’t use. I dare say, even spices and condiments you haven’t used for a considerable time shouldn’t be in your kitchen for two reasons those are not probably as fresh when you bought those items and secondly, if you haven’t used these for a considerable time you may never even use these things ever. Refrigerator is one place which needs frequent cleaning, but again sometimes procrastination is our best friend. I will be the first to admit I find cleaning my refrigerator annoying and difficult. I do everything to wriggle out of it. But in the end, I do end up cleaning it since I cannot stand the mess. Spring is an awesome time to sort out your refrigerator. Not sold? well I was hoping to rub off some of my enthusiasm. But clearly me honey-coating it will not make the task more appealing so you might as well just clean it. Magazine Racks: Although many people prefer to read online now most of us do have collection of old magazines and newspapers. If you have no nostalgic attachment to these things then it’s good idea to discard these. Although I have to confess here I have too many old books and I don’t ever want to part with those. So I understand if you too face a similar dilemma. Garage/store room: A lot all of us dump unwanted stuff in the garage or store room, but slowly those spaces get overstuffed too. Get rid of things you don’t need. Medicine Cabinet: Spring is a good time to check for expired medicines, if any. People are too busy now and there are people living paycheck to paycheck so sorting out medicine cabinet would probably be last thing on their minds. But keeping expired medicines are more dangerous. You can probably start your spring cleaning from this area. Toxic relationships do more harm to your self-esteem than you realise. Anyone who doesn’t appreciate or accepts you for what you are is not worth having in your life. Your mental health and peace of mind matters the most. I know it’s not easy to cut off ties with someone just like that. You may feel it’s impossible to live without someone. Yes, it’s hard and I am no relationship expert, but you have to think about your happiness in the long-run. Ask yourself why you need such people in your life how are they contributing to your well-being? If the answer is a resounding ‘NO’ then you should move away from such toxic people. Can you completely declutter your life? I think it always depends on consistency and effort. I mean you have to make an effort to keep your home and life tidy and it is a continuous process. It’s easy to fall into the rabbit hole once you have decluttered your homes or office spaces. But if you don’t pay attention from time to time things will start to pile up. Even if you can’t clean often you can clear up your work and personal space annually during spring cleaning. I am not a minimalist, maybe I am somewhere in the middle, but even then I don’t think buying things on an impulse is a good idea. A rare splurge or two is fine but when impulsive buying increases it’s a problem. I would say the key to maintaining the balance between space and clutter lies with us. If we stop buying random stuff, we will save money as well as the scope for clutter. This list is great. I always get overwhelmed when it’s time for spring cleaning. It’s quite natural infact to feel overwhelmed, most people have really intensive cleaning schedule. Awesome post! Very Helpful Tips! Loved reading it! I’ve definitely been in a spring cleaning mode… physically and mentally. I love how freeing it feels to rid myself of clutter. Yes spring cleaning is very liberating I totally relate to that! I can’t wait for this blizzard to quit so i can start putting away the clutter in my tiny house! You were right about the wardrobe. I can’t get to declutter faster everytime I start with it. I wish I could send some of that spring sunshine from my part of the world! And yes, wardrobe cleaning is pretty exhausting really. I also love spring and autumn! 🙂 These are great tips. I usually do an audit of my things every few months so that I don’t have heaps of stuff laying around. Wow that’s a really good idea, an audit of things, you must be super organised!